If you enjoyed the film “Almost Famous,” then you’ll love Bill German’s book, Under Their Thumb. It’s a true account of his life with the Rolling Stones. Bill returns to share his unique stories about The Stones at The Acorn. German met the band while he was a teenager, shortly after launching his Stones-only magazine, Beggars Banquet. 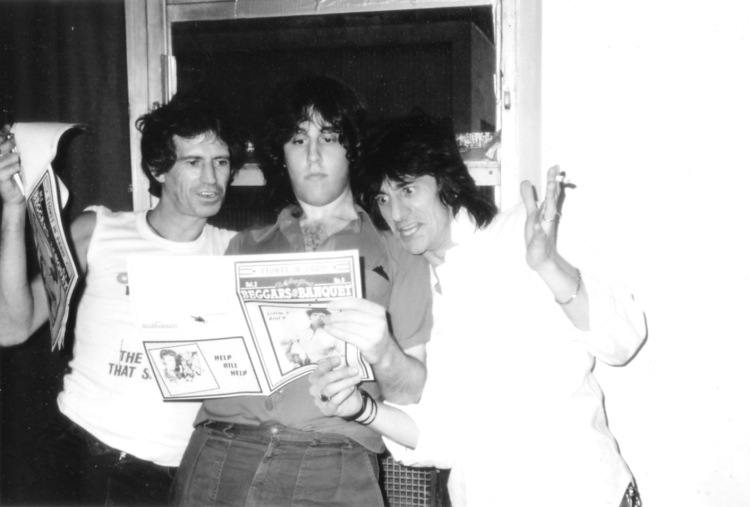 The publication lasted for seventeen years, during which time he traveled the world with the Stones, stayed at their homes, and witnessed their recording sessions. He lived the dream of every Rolling Stones fan, until he eventually had to leave the life behind. Under Their Thumb offers a unique, honest, and humorous perspective of the greatest rock ’n’ roll band in the world, and features dozens of never-before-seen photographs.